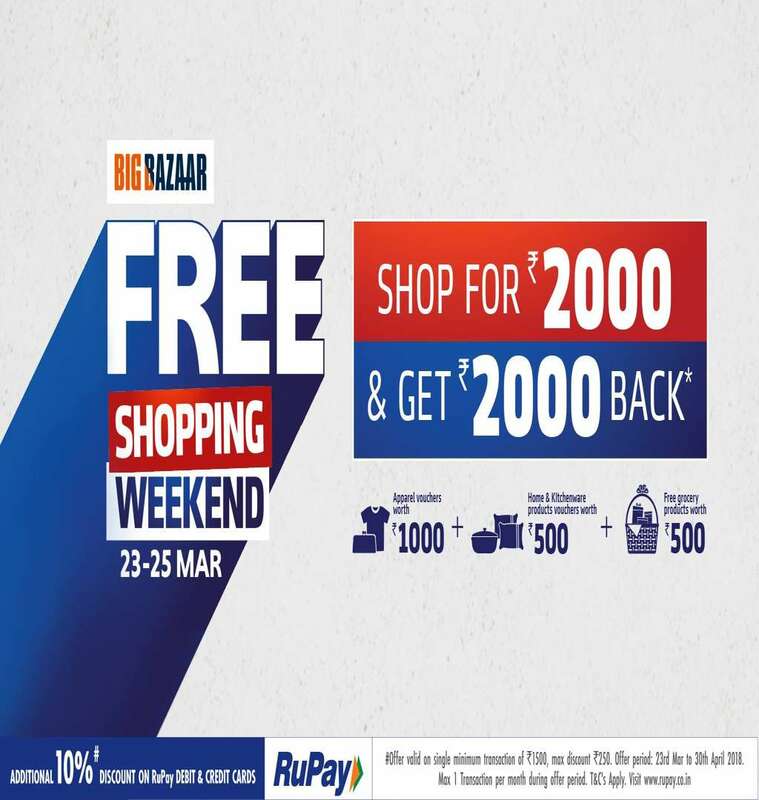 3 days of #FreeWaliKhushi at Big Bazaar’s Free Shopping Weekend 23rd - 25th March 2018. Shop for Rs.2000 & Get Rs.2000* back. Also get additional 10% discount on using Rupay debit & credit card.